So often, the different rooms within a house are viewed as separate features of a home – but some home designs blend all of these features into one large, multi-functional space. For anyone who can say that they're conveniently sitting in their living room/dining room/kitchen/bedroom, today is your day! 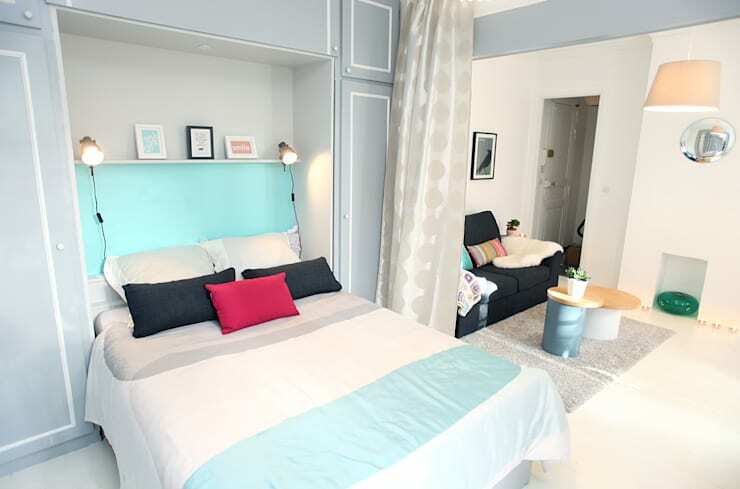 This ideabook is all about the one-room studio apartment! Here's a look at some of the finest and fanciest one-room homes out there. 1. Patterns and interest, everywhere you look! Designed by the interior design team at Rover BC, this compact studio boasts everything one might need in a stylishly small package. The way they've included geometrical patterns in the partition, throw pillows, and rug creates a fun, geometrically-inspired theme throughout the rooms, without being too matchy-matchy. Thumbs up for this stylish one-room that packs a punch with interesting patterns wherever you look! 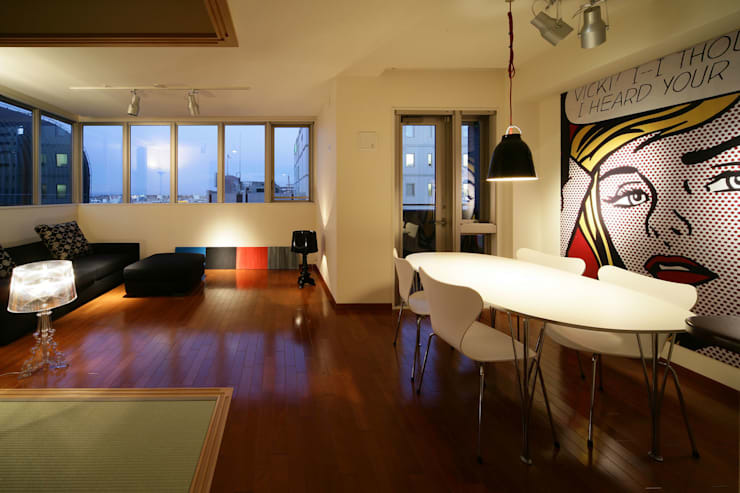 Many studio apartments are split into two using mezzanines and lofts. This is a fabulous way to take a space with minimal square footage and turn it into a vertically-oriented room that offers a bit of privacy up above. 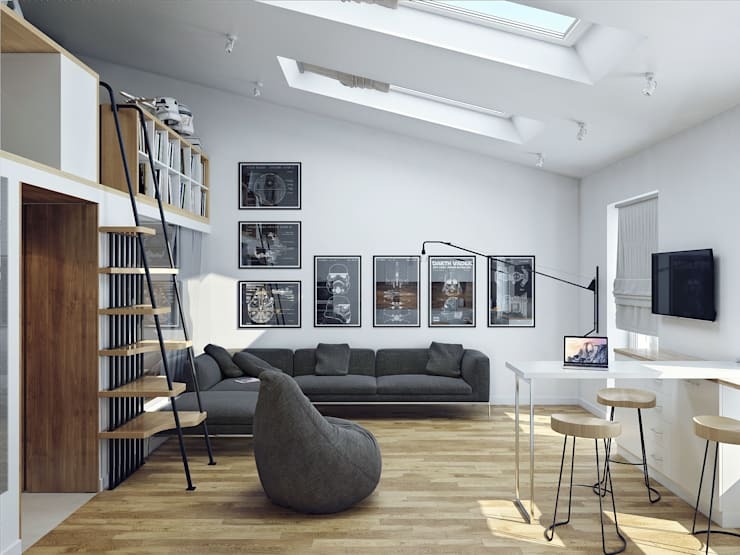 This apartment might all be arranged in one open room, but with refreshing skylights and a lofted area that bring your eyes upwards, this one-roomer demonstrates an impressive height and open, airy feel. This one-room studio designed by May Company & Architects adopts a retro, mid-century aesthetic. A large canvas of comic pop art brings definition to the stylish dining area, while more dramatic tones in the red wooden floor and black furniture turn this spot into a bold an artistic space. Okay, so maybe this one's a stretch: it's technically a one-room apartment, but it is large and luxurious enough to house a typical closed-concept home! 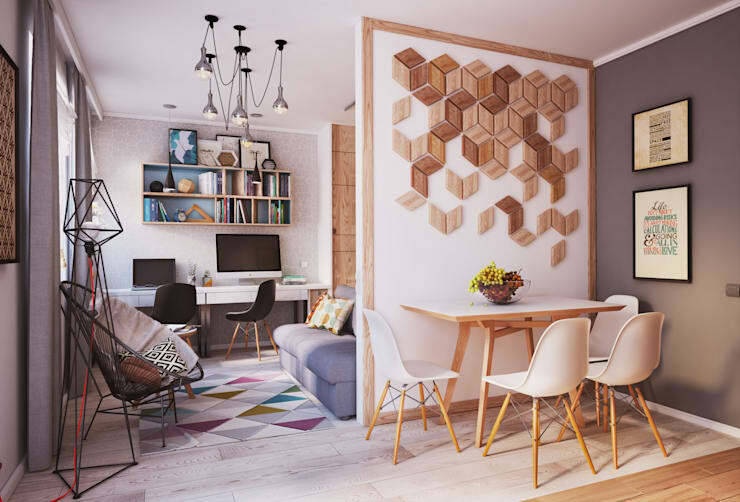 Despite its large size, however, the designers at Airhouse Design Office have still opted for a studio apartment layout – there's obviously something to be said for a studio layout, beyond the fact that it can be employed to save space! 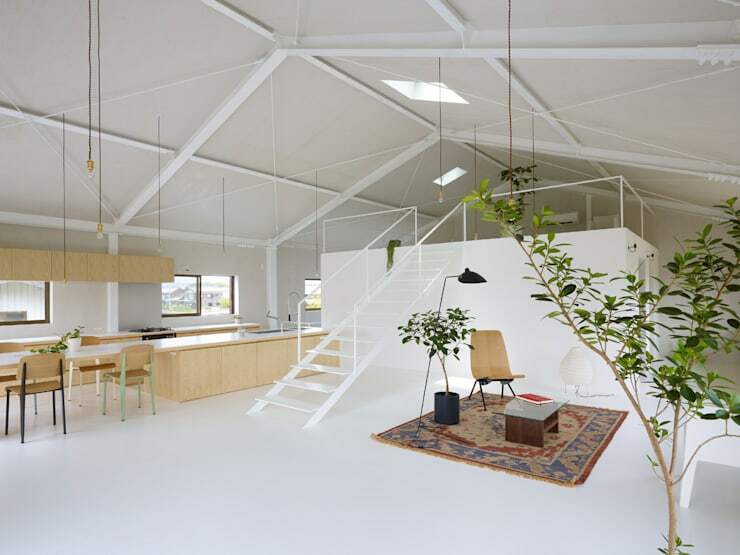 In this case, this design makes for a large, airy, and spacious home! Separate spaces under the looming white roof are created in unique ways – for example, the ’living room’ space has been established by the simple placement of an area rug that marks the boundaries for the living room furnishings. 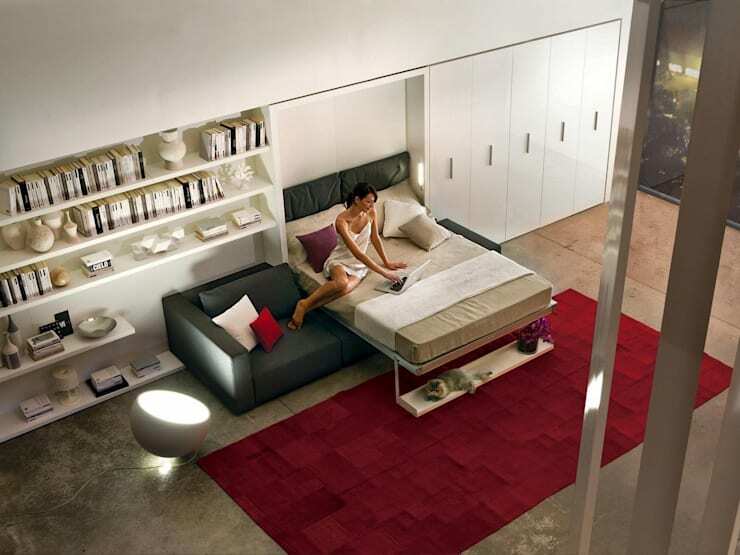 Within one-room apartments, it's often a good idea to include furniture that doubles as another item when folded away. Gone are the days of the clunky and notorious fold-out bed; this example is changing the face of multi-purpose, incorporated furniture.If you only have one room to your home, that doesn’t mean you have to forego privacy. There are lots of different ways one can segregate a space, and this All Arts Design example is an ideal demonstration. A common theme in one-rooms is the lack of privacy in separate spaces. However, just because you only have one room in your home doesn’t mean you have to forego a feeling of privacy. There are lots of different ways one can segregate a space, and this All Arts Design example is an ideal demonstration – instead of a heavy partition wall, they've opted for a light, breezy curtain that brings a soft, fluid feeling of separation to the space. Another studio apartment, this Sandra Dages-designed home is so playful and energetic that you'd never be left focusing on its lack of square footage. The atmosphere is colourful and warm, with light teals and and spunky contrasts in orange and magenta instilling a very upbeat energy in the room. Note the clever curtain that's been hung between the bed and the couch – this makes for a convertible studio apartment that can be transformed into two separate spaces with a simple swish of the hand. Looking to add a sense of life and energy to your home? This ideabook acts as a guide for helping you to instill life in your space, right down to the unused space in the corner of the room. As you've seen, a studio apartment is not always created to conserve space in a small floor plan – here's another example, designed by JC Decor, that proves that one-room living can be utterly luxurious! Here, the living space is divided into semi-separate spaces using a mezzanine, offering the bedroom privacy away from the kitchen, while allowing both spaces to enjoy the wide open feel of the open concept layout. In addition, this design gives the kitchen area a sense of intimacy and shelter with a lowered ceiling, while the dining room and living room areas benefit from ample thinking space overhead. Possibly the smallest dwelling on the face of the planet, this Tengbom designed micro-home sit on a floor plan of a mere ten meters squared! Split into two levels, this tiny residence has everything one might need in one stylish and compact package. If you're ever looking for one-room inspiration, a micro-home will always abound with clever solutions for one-room living! 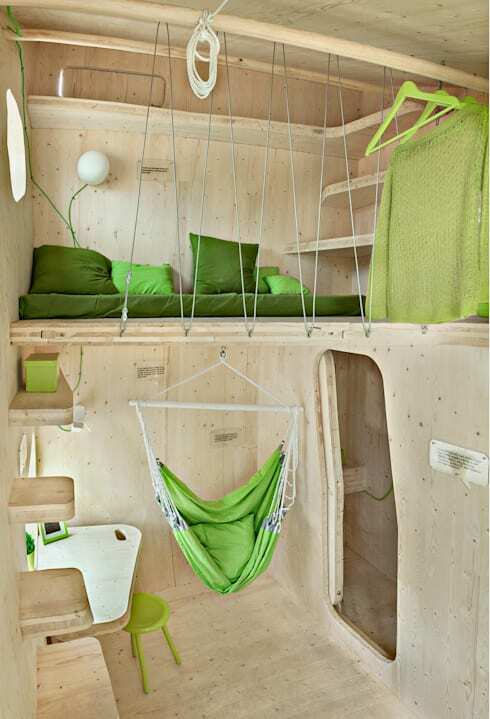 Looking to dive into a tiny home? Here's a tour of a micro-home that cost just $20,000! For those who tend to walk on the wild, edgy side, this one-room apartment is right up your alley! This bold design makes up for its lack of rooms with style and drama, as unexpected pops of colour jump out of its edgy interior landscape. Designed by Diego Revollo Arquitetura, this one-room proves once again that an open design provides an excellent backdrop for the creation of a cohesive, themed space. What you do think of these stylish apartments? Share your one-room thoughts below!